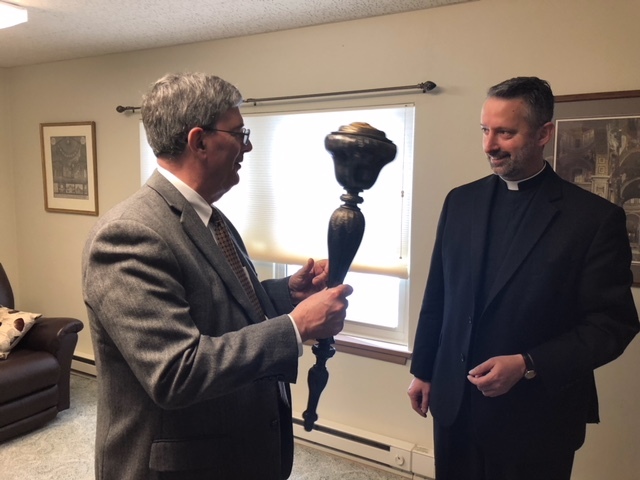 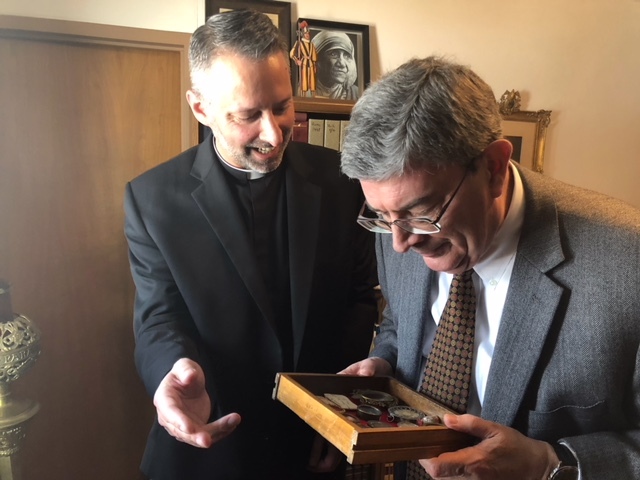 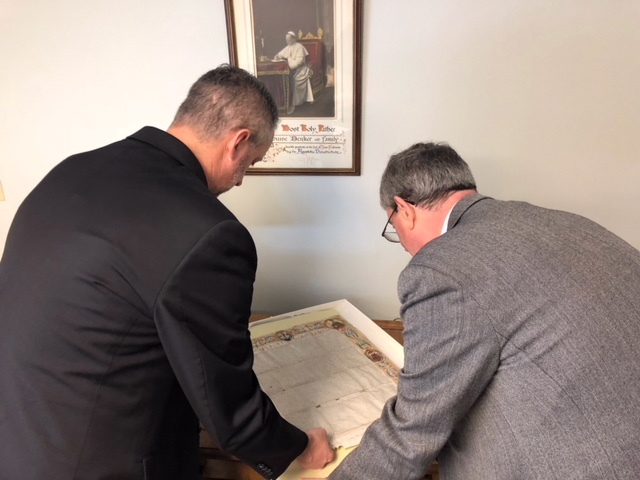 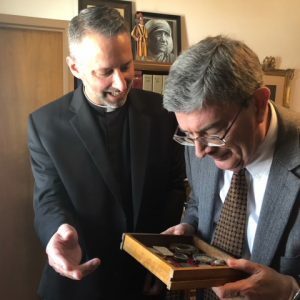 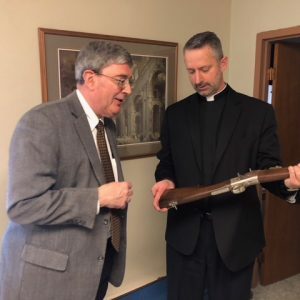 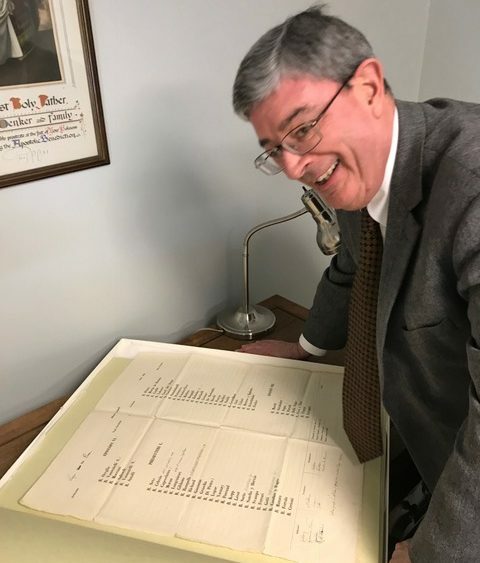 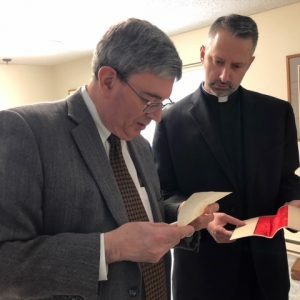 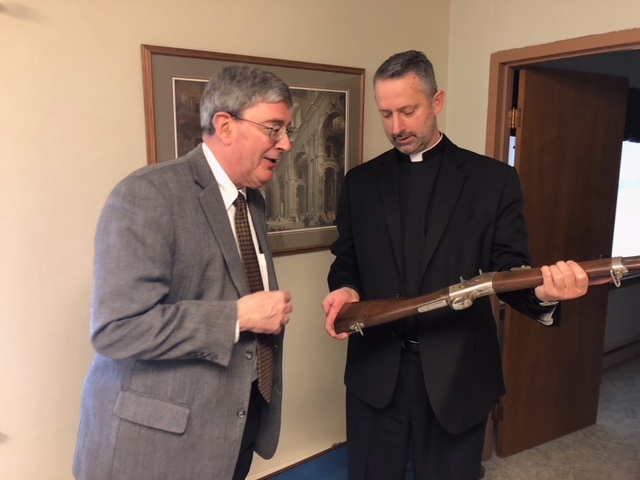 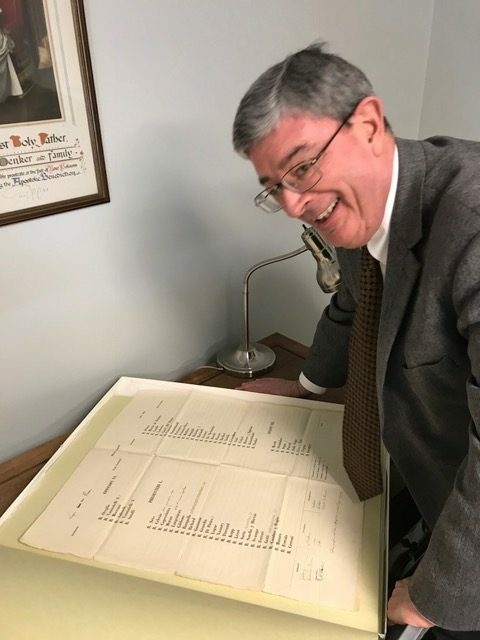 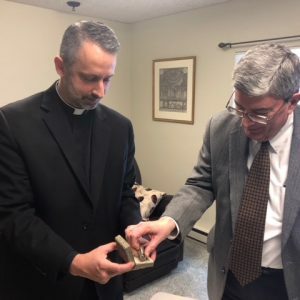 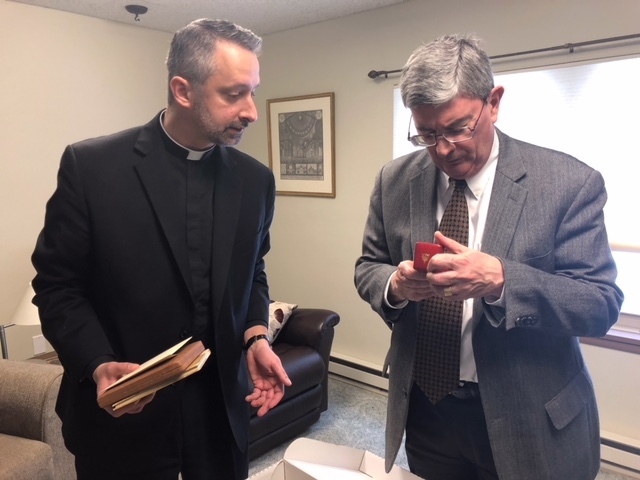 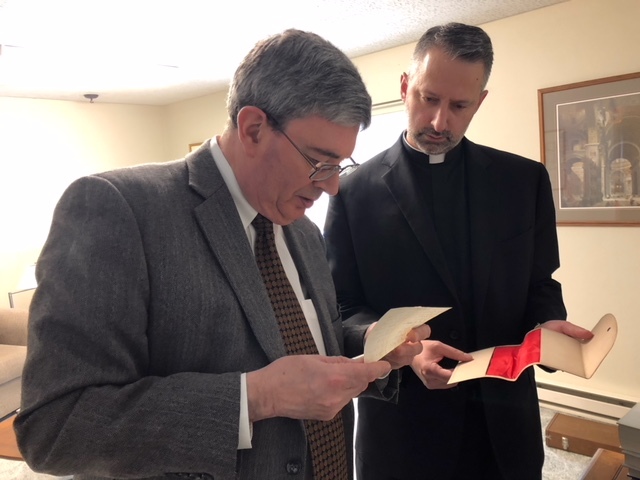 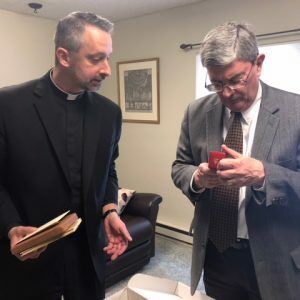 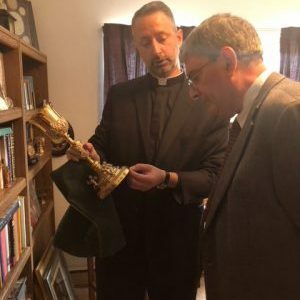 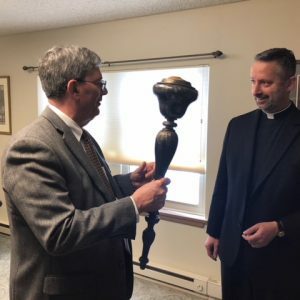 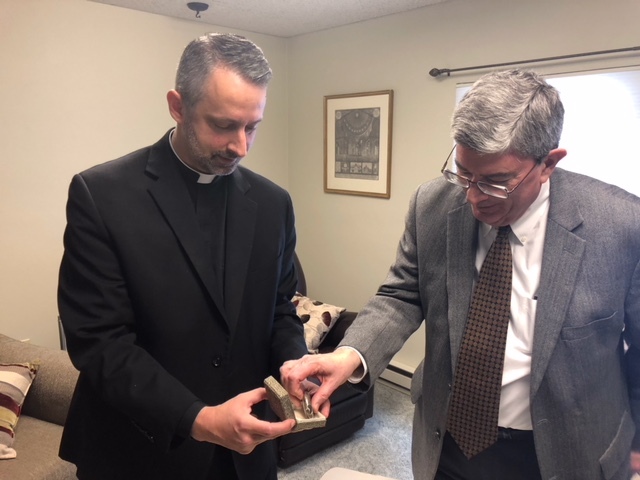 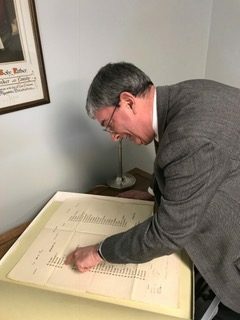 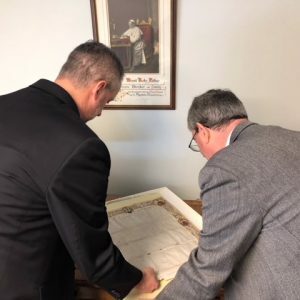 The Diocese of Duluth, and the home parish of the Curator of Papal Artifacts, Father Richard Kunst, were treated to a rare opportunity to spend an evening with George Weigel. 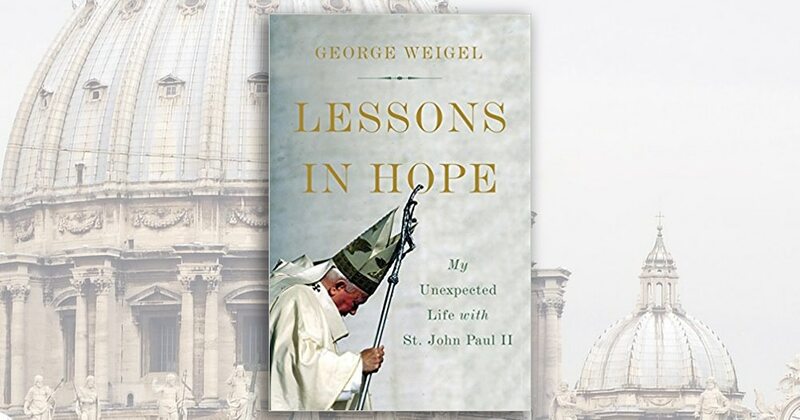 He is the Distinguished Senior Fellow of The Ethics and Public Policy Center, and is the most comprehensive biographer of Saint Pope John Paul II, a Catholic theologian and one of America’s leading intellectuals. 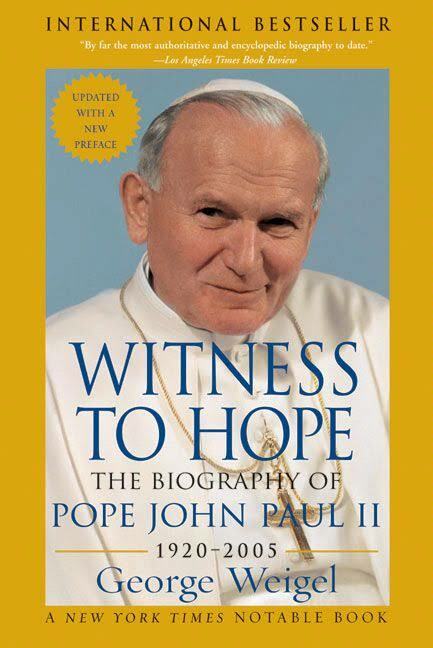 We are honored to share this event with you and will add a YouTube of his presentation as soon as it is made available. 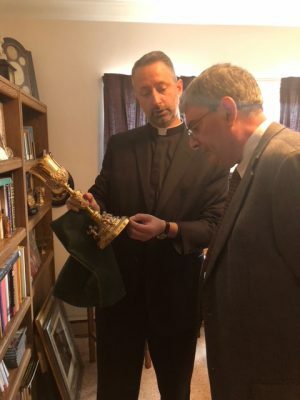 For now, please enjoy these initial photos of him examining some of Father Kunst’s Collection. 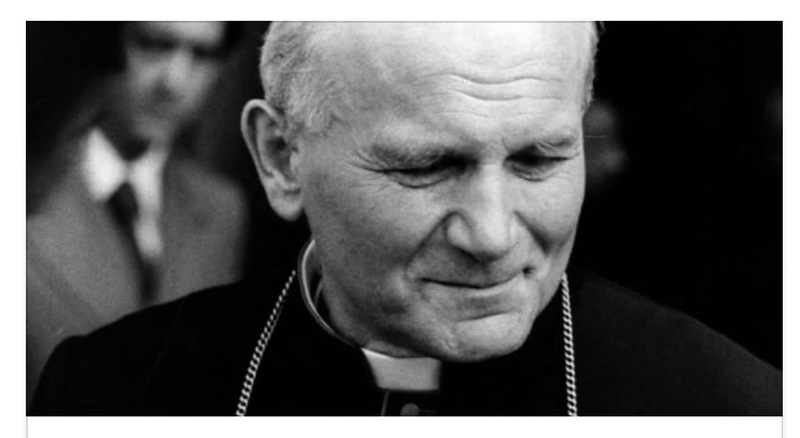 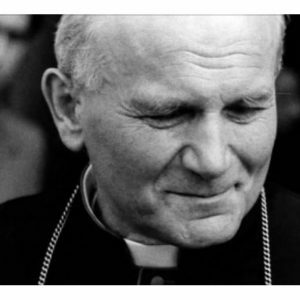 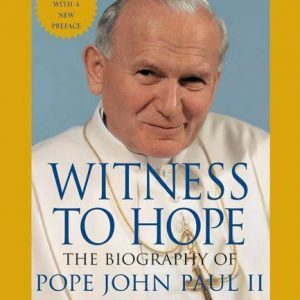 Below is an interview he did in which he discusses his latest book, a memoir of his twelve years of friendship with Pope John Paul II, Lessons in Hope. 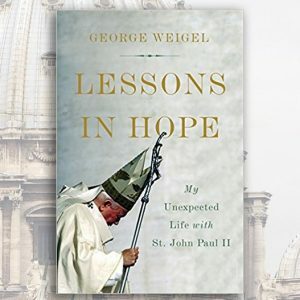 The video below is an EWTN interview about Lessons in Hope, and not his presentation at St. John’s.